Kick off your visit on the 16th (Tue): discover the magic at Disneyland Park. Keep things going the next day: make an unforgettable trip to Disney California Adventure Park. 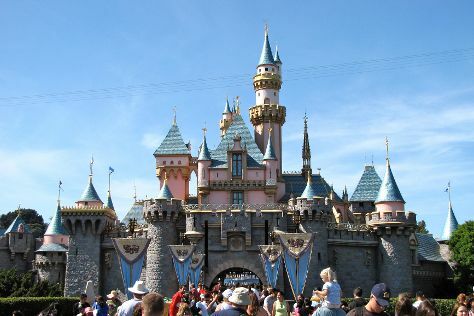 For reviews, more things to do, traveler tips, and more tourist information, use the Anaheim road trip planning website . Los Angeles to Anaheim is an approximately half hour train ride. You can also drive; or take a bus. In July, plan for daily highs up to 86°F, and evening lows to 68°F. Finish your sightseeing early on the 18th (Thu) to allow enough time to take a train to Los Angeles. Change things up with a short trip to Six Flags Magic Mountain in Santa Clarita (about 1 hour away). Pack the 18th (Thu) with family-friendly diversions at Universal Studios Hollywood. Next up on the itinerary: see the interesting displays at The Getty Center, get a new perspective on nature at Natural History Museum of Los Angeles County, immerse yourself in nature at Topanga State Park, and get curious at California Science Center. To find other places to visit, more things to do, reviews, and other tourist information, read our Los Angeles trip itinerary planning site . Los Angeles is very close to Anaheim. In July, daily temperatures in Los Angeles can reach 83°F, while at night they dip to 66°F. Cap off your sightseeing on the 26th (Fri) early enough to travel to San Francisco. On the 27th (Sat), snap pictures at Golden Gate Bridge, steep yourself in history at SS Jeremiah O'Brien, then take in the waterfront at Fisherman's Wharf, and finally contemplate the long history of Alcatraz Island. Get ready for a full day of sightseeing on the 28th (Sun): have fun and explore at Exploratorium and then make a trip to Golden Gate Park. For maps and more tourist information, read our San Francisco tour itinerary planner . Fly from Los Angeles to San Francisco in 4 hours. Alternatively, you can do a combination of flight and train; or drive. Expect little chillier temperatures when traveling from Los Angeles in July; daily highs in San Francisco reach 73°F and lows reach 57°F. Finish your sightseeing early on the 28th (Sun) to allow enough time to drive to Yosemite National Park. Start off your visit on the 29th (Mon): trek along Mariposa Grove of Giant Sequoias and then take some stellar pictures from Tunnel View. Get ready for a full day of sightseeing on the next day: take in the dramatic natural features at El Capitan, enjoy the sand and surf at Cathedral Beach Picnic Area, then take in the dramatic scenery at Vernal Fall, and finally take in the dramatic scenery at Yosemite Falls. To see more things to do, other places to visit, maps, and other tourist information, read Yosemite National Park driving holiday planner . 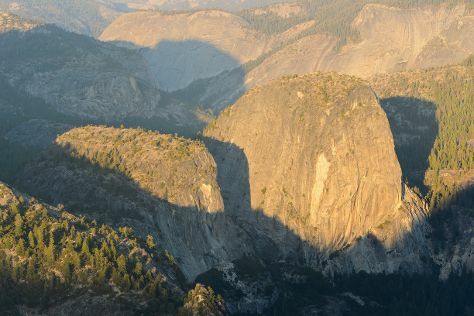 You can drive from San Francisco to Yosemite National Park in 4 hours. Alternatively, you can do a combination of flight and car; or do a combination of flight and bus. When traveling from San Francisco in July, plan for somewhat warmer days and a bit cooler nights in Yosemite National Park: temperatures range from 83°F by day to 46°F at night. Wrap up your sightseeing by early afternoon on the 31st (Wed) to allow enough time to travel back home. Kick off your visit on the 1st (Thu): get great views at Mather Point, then tour the pleasant surroundings at South Kaibab Trail, then cruise along East Rim Drive, and finally take in breathtaking views at Yavapai Point. Here are some ideas for day two: get great views at Lookout Studio, go for a walk through Pipe Creek Vista, and then tour the pleasant surroundings at Rim Trail. To find other places to visit, reviews, photos, and other tourist information, read Grand Canyon National Park itinerary builder . You can do a combination of bus and flight from Yosemite National Park to Grand Canyon National Park in 13 hours. Alternatively, you can do a combination of bus and shuttle; or take a bus. Due to the time zone difference, you'll lose 1 hour traveling from Yosemite National Park to Grand Canyon National Park. Traveling from Yosemite National Park in August, expect somewhat warmer with lows of 50°F in Grand Canyon National Park. Wrap up your sightseeing by early afternoon on the 3rd (Sat) to allow enough time to drive back home. Hoover Dam has been added to your itinerary. Start off your visit on the 3rd (Sat): see human ingenuity at work at Hoover Dam. Keep things going the next day: see the interesting displays at The Mob Museum and then admire the majestic nature at Red Rock Canyon National Conservation Area. Getting from Grand Canyon National Park to Las Vegas by combination of flight and car takes about 4.5 hours. Other options: drive; or take a shuttle. The time zone difference when traveling from Grand Canyon National Park to Las Vegas is minus 1 hour. In August, Las Vegas is warmer than Grand Canyon National Park - with highs of 101°F and lows of 77°F. On the 6th (Tue), wrap the sightseeing up by early afternoon so you can travel back home.